It is the mission of Malheur County to administrate an economically sound local government, while maintaining the highest standards of leadership and service. 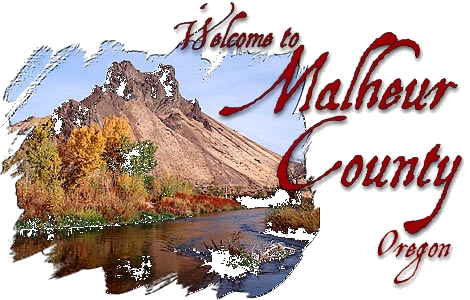 Malheur County is located in beautiful Eastern Oregon. It is a place filled with fascinating history, diverse landscape and friendly people. Malheur County is one of Oregon’s best-kept secrets! Located in Oregon’s southeast corner, the county is the state’s second largest. It is 94 percent rangeland, two-thirds of which is controlled by the Federal Bureau of Land Management. Today, irrigated fields in the county’s northeastern corner, known as Western Treasure Valley, are the center of intensive and diversified farming. One of Malheur County’s greatest resources is its people — people that still believe in hard work and traditional values. Malheur County has beautiful, enchanting scenery and a wide variety of excellent recreational opportunities. The county was created in 1887, and Henry C. Murray was appointed the first sheriff. Vale was granted temporary status as county seat, and battled with Ontario and Jordan Valley for the permanent title. The law called for a majority vote, and a county-wide election was held in 1888. Vale won the election, with Jordan Valley second and Ontario third, but because Vale did not receive the required majority, a second election between the top two contenders was held, with Vale receiving 459 votes and Jordan Valley 138. The first courthouse was built in 1887, for $1,400. Rhinehart donated the site for a new courthouse, and a committee raised and donated $10,000 for the two-story stone building completed in 1902. In addition to Ontario, Jordan Valley, and Vale, there are several other communities of size in Malheur County: Nyssa and Adrian are incorporated cities, while Juntura, Ironside, Jamieson, Westfall, Harper, Arock, Annex and Brogan are unincorporated communities.